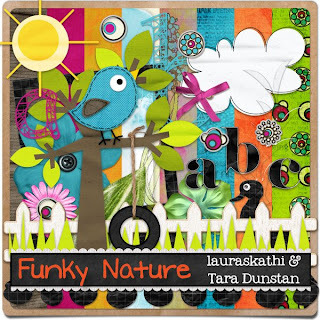 If you missed the download link of this pretty kit by Tara and Laura at Funky Playground like me then head over at Tara's blog to get it. HURRY up bec. she will only have the link till Sept. 5, so don't miss this second chance. She also has a contest goin on and you might be interested in joining.